Bestselling author Diane Chamberlain delivers a breakout book about a small southern town fifty years ago, and the darkest—and most hopeful—places in the human heart. When Jane Forrester takes a position as Grace County’s newest social worker, she doesn’t realize just how much her help is needed. She quickly becomes emotionally invested in her clients' lives, causing tension with her boss and her new husband. But as Jane is drawn in by the Hart women, she begins to discover the secrets of the small farm—secrets much darker than she would have guessed. Soon, she must decide whether to take drastic action to help them, or risk losing the battle against everything she believes is wrong. Set in rural Grace County, North Carolina in a time of state-mandated sterilizations and racial tension, Necessary Lies tells the story of these two young women, seemingly worlds apart, but both haunted by tragedy. Jane and Ivy are thrown together and must ask themselves: how can you know what you believe is right, when everyone is telling you it’s wrong? I received an invitation from St. Martin's Press through NetGalley to review Diane Chamberlain's novella, The First Lie a few months back and after reading the premise, thought I would give it a try. I immediately fell in love with the main character, Ivy, a very young girl who took the weight of the world on her shoulders. 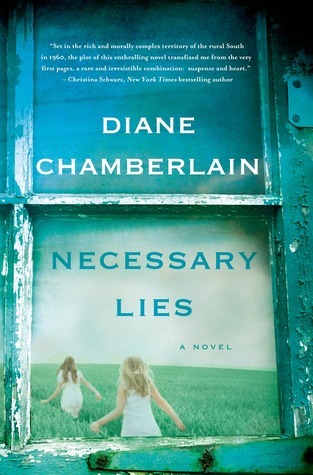 Necessary Lies continues that story two years later, but adds the character of Jane into the mix. Jane is brand new to the world of social work and is given the Harts and Jordans as her first clients. She is thrust into the world of these families - both living on the Gardiner's tobacco farm - and becomes emotionally attached to the plight of Ivy and her family. A big no no the world of social work, but I see myself in Jane. I don't know if I would have gone as far as she does, but I also know I wouldn't be on the side of Charlotte (her supervisor). 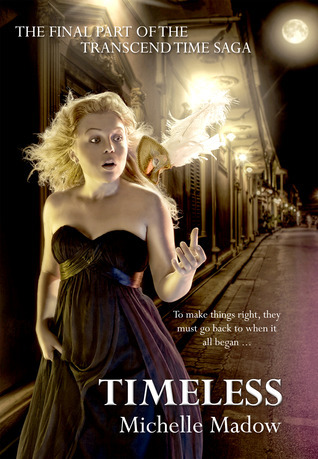 Ivy is a fifteen-year-old girl who dreams of more than she has been given. She wants to live in California with Henry Allen, the Gardiner's only child, and raise a family. Luckily, this is a dream of Henry Allen's as well, but something that seems almost unattainable as his parents do not believe Ivy to be good enough for their son. Having to take care of her "grandmother [who] is marginal," a not all there older sister, and her two-year-old nephew cannot be easy, but things become even worse as the novel moves on. Jane is a newly married woman whose pediatrician husband isn't too thrilled about his wife working - as she doesn't need to and it looks bad to their the rest of the couples in their social circle. Boo him. By caring for the Hart family, both her marriage and job are in serious jeopardy, but it's something she cannot help. She has been told by numerous people that she cares too much for this family, but I cannot fault her for that. She does what she thinks is right for everybody and, given both the time period and position she puts herself in, is incredibly brave and heartwarming. A dual narrative in the first person, we see evens happen from both Ivy's and Jane's perspective. Chamberlain did an amazing job of keeping these two voices separate and unique. Despite both being in the south, Ivy and Jane have very different dialects. Ivy is from a poor family and doesn't speak properly, though she does try hard, and you can hear that in her narration. Even in my head, I could differentiate between our two narrators. I imagine this not to be an easy task for an author to accomplish, especially when the narrator changes with each chapter. Chamberlain beautifully connects these two vastly different worlds in a believable and compelling narration, which is both strong and compelling. Despite Ivy's poverty and Jane's upper-middle class lifestyle, these two characters connect on such deep levels that you find yourself pulled into their story and unable to break away. When the seriousness and unfortunate circumstances of Ivy's situation back both her and Jane into a corner, they do not give up. Jane refuses to standby and fights for Ivy, nearly sacrificing everything dear to her in the process. Despite the heartbreaking moments, the novel provides hope. Its message of honesty and strength is one that I will never forget. While The First Lie and Necessary Lies were my first Chamberlain books, I can guarantee that they will not be my last. Side note: I think it's really interesting that Chamberlain incorporated North Carolina's Eugenics Sterilization Program into this novel. It's horrific to think that this was a real program - something I learned when I read her author's note at the end - and that it was so widely used for those on welfare during this time period. It makes Jane's fight and stance she takes for Ivy all that more powerful and meaningful.